Posted on October 8, 2012 by veearr | Comments Off on PUMPKIN CARVING HELLRAISER! THIS FRIDAY, SATURDAY AND SUNDAY!!!! Join us for this 3 day epic event! Support your local art organizations, come out and get scarrred! Live performances, music, installation and fine art with a unholy twist! Click here for Friday night performance program. 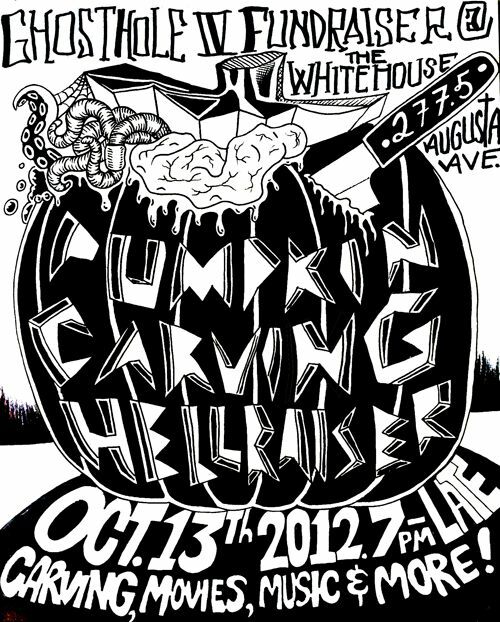 Saturday Oct. 29th – Installations, Bands and PARTY! Sunday Oct. 30th – All day open house / pedestrian sunday. El Gordo’s Backyard and The White House Studio Gallery. FREE ADMISSION but donations appreciated! The White House Studio, Whippersnapper and VSVSVS. It seems our upcoming artshow dedicated to Randy Savage and curated by Nathaniel G. Moore is generating some hype. 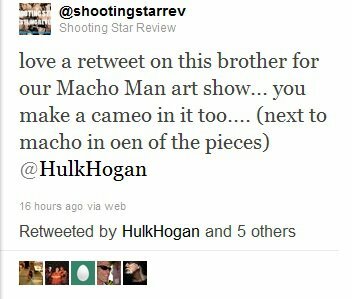 Turns out Hulk Hogan re-tweeted his post about the upcoming show and since then other news feed websites have been posting about it. If you would like to get involved in this homage and celebration of the life of the Macho Man you still have one week left to submit. Video art, drawings, collage, audio, or if maybe you have something unexplainable that conveys Macho Madness, go for it. Deadline for SAVAGE submissions is October 1, 2011. Submit to Nathaniel at BOWLBRAWL AT GMAIL DOT COM. For the facebook event Click Here. 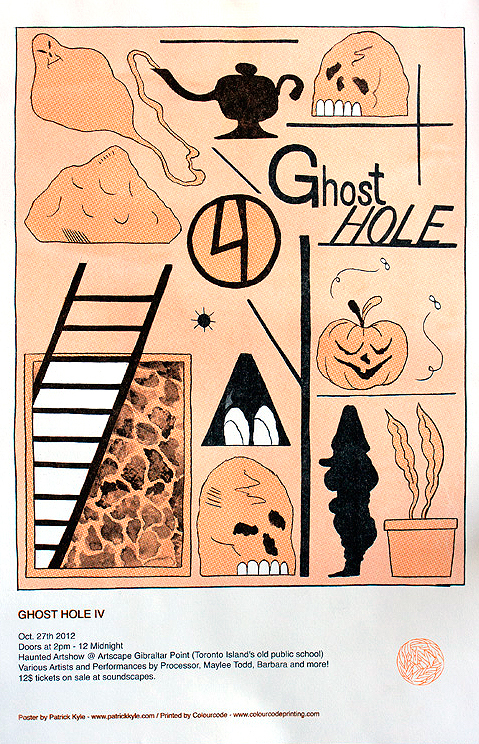 As the days get shorter and the nights get longer… the Ghost Hole will emerge bigger than ever before. 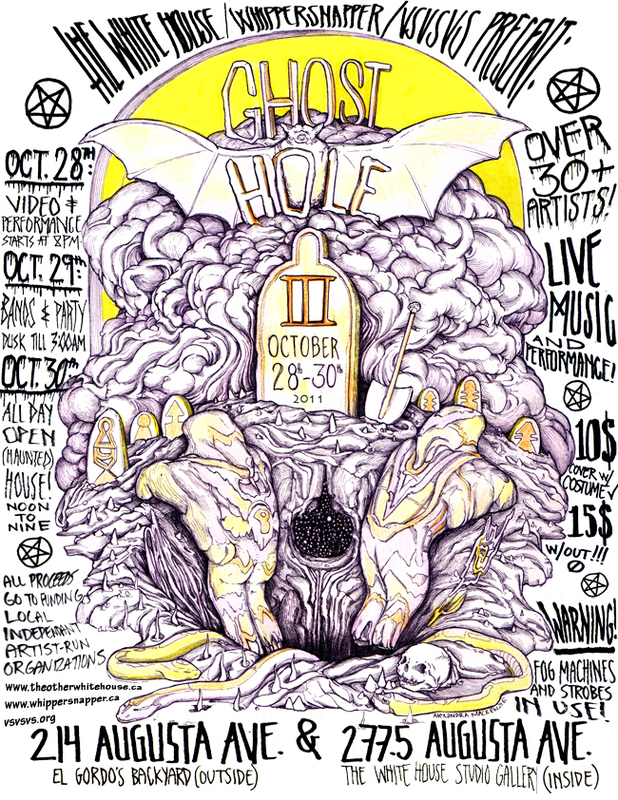 This year, Ghost Hole III will be a 3 day event. The first day for video screening and performance art. The second day for the huge celebration and party with bands and installations. And the third day will be open to the general public during Pedestrian Sunday for “haunted art show” walk through. Volunteers looking to help build/create/perform with the haunted (art) house. Please send submissions to theotherwhitehouse@gmail.com if you are interested. For more information go to the GHOSTHOLE website. other times and other dimensions. 8 pm – 2 am. NEW Free Drawings #6 will be unleashed! NEW Halo Halo tape will be released from its mortal coil! This, our fourth quarterly Exhibition will culminate a year in the current White House location. We will be moving in December – please visit with this amazing house before we leave. In relation to our submission to the Aviva Community Fund. Please vote for us – only a couple of days left!